Last week we went and visited some friends and were given a rather large bag of clementine’s from them in the hope we might turn it into something delicious for the blog. 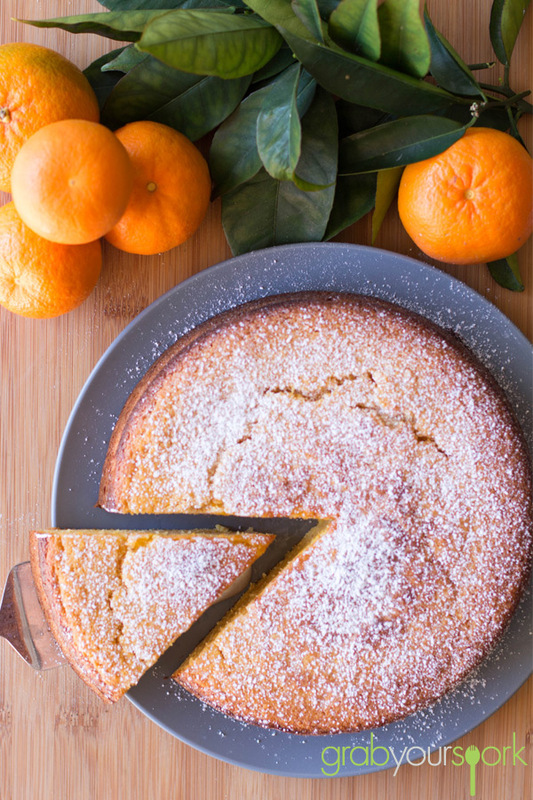 “Challenge accepted!” we said and proceeded to create this homemade clementine cake recipe. Clementine’s are a great combination of mandarin and orange, and after doing some research they are also a popular citrus fruit used for making tasty treats in the UK. Courtesy of Nigella Lawson’s reputable recipe, Clementine Cake, Brooke used this recipe to use the tangy fruit. Firstly you must allow some extra time to boil the fruit whole, for at last two hours. Luckily if there is someone already home you can kindly ask them to put them on a light boil ahead for you. Once the clementine’s have boiled for two hours you need to blitz them in the food processor – skin, pith, fruit and all! Just simply check the fruit for seeds first before giving them a blitz. From there it is simply just combining the remaining ingredients and stirring in the clementine puree. This cake does take up to an hour to bake and you may need to protect the top with a bit of foil to stop it from burning. 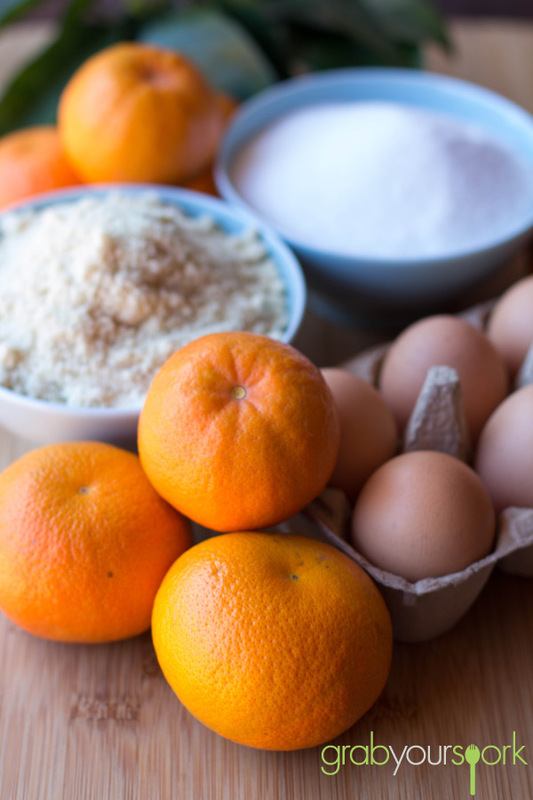 Once the cake is cooked and allowed to cool, you can sprinkle with a little icing sugar or make an easy icing with the juice of one clementine and 1 cup of icing sugar. For me this cake is dense, moist and flavorful on is own and perfect for these cool months with a cup of tea, coffee or warm drink! Looking for some more dessert recipes then check out our recipe for Homemade No Bake Mars Bar Slice or Fruit and Custard Tart. 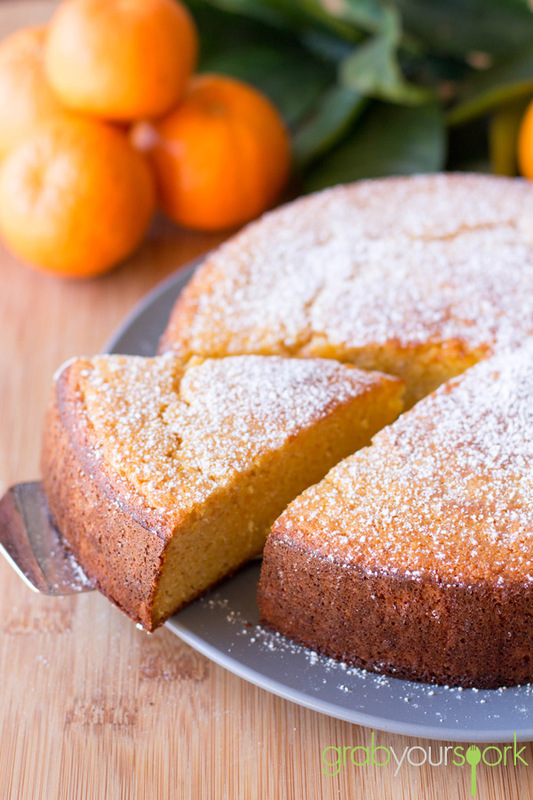 Delicious Clementine Cake made with just 5 ingredients. 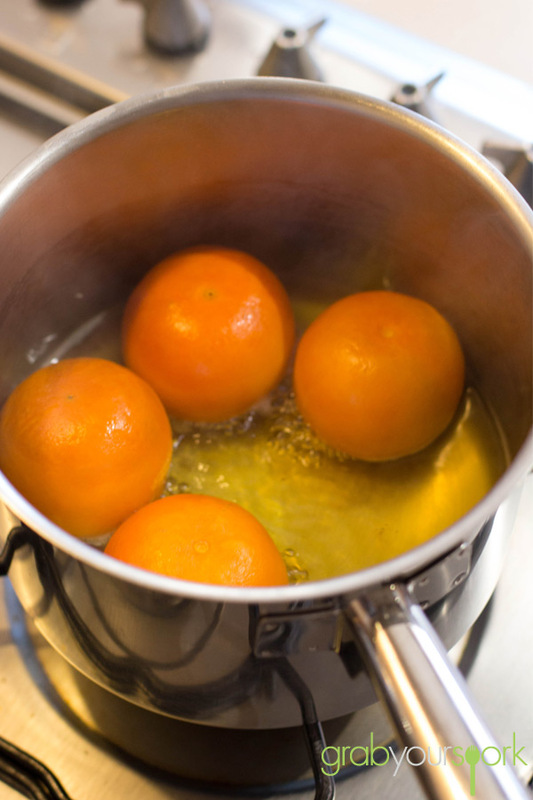 Put the clementine’s in a pan with some cold water, bring to the boil and cook for 2 hours. Drain and, when cool, cut each clementine in half and remove the pips. 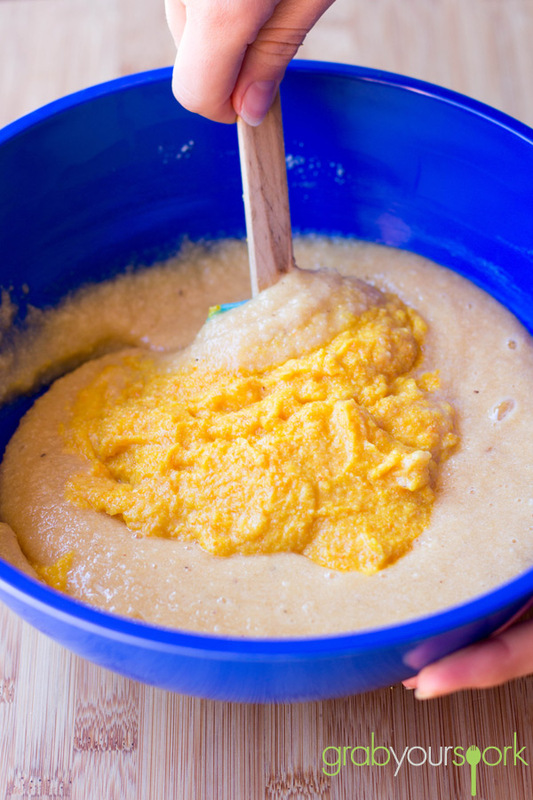 Dump the clementine’s - skins, pith, fruit and all - and give a quick blitz in a food processor. Preheat the oven to 170ºC. Butter and line a 21cm / 8 inch Springform tin. Add all the other ingredients to the food processor and mix. Or, you can beat the eggs by hand adding the sugar, almonds and baking powder, mixing well, then finally adding the fruit puree. Pour the cake mixture into the prepared tin and bake for an hour. Check the cake with a skewer that it comes out clean.